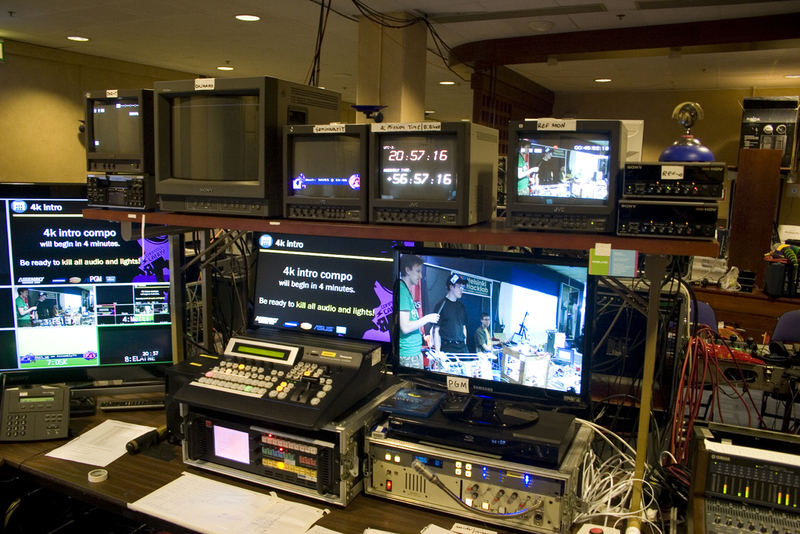 If you want to provide a multimedia show through a second monitor, you may need to drag one or more windows from one monitor to another and set them to full screen, which does not make your show look very professional. In situations like this, Screen Monkey can provide you with an excellent solution. When you play a video or other media type, the application will automatically set it to full screen mode, on your second monitor. It also allows you to organize your media, on a user friendly interface, which gives you the possibility of switching between media files instantly. Screen Monkey is free, but some of its features are available only in the Pro edition. The good news is that its core functionality is not restricted. The application works on Windows XP, Vista and Windows 7 and it requires .NET Framework 4.0 or a later version. The user interface consists of a grid, on which you can add your media files. To add a new item to a cell, you have to click that cell and select a media type, on a separate window. You can insert audio files, videos and images, but you can also insert screensavers, flash animations, an effects generator, live streams, a ticker tape, which displays news from RSS feeds and much more. It is also possible to select macros, templates and local files, on the same window, but in separate sections. Imported items show up as icons or thumbnails, on the main interface. It should be obvious that you only need to click one in order to play it, in full screen mode, on your second monitor. You can add items in separate layers and use a live monitor, to control each layer, in parallel. It is also possible to queue items, set a transition speed and select a display profile. Furthermore, you can schedule any item on the grid. You can switch between different media items instantly and play them on a second monitor, in full screen mode. The software allows you to organize countless items, in a grid, on separate pages. You can set a transition speed, schedule items for automatic play and much more. You may need some time to study the interface or go through a tutorial to get used to some functions that are not obvious. With Screen Monkey, you can play any media, on a second monitor, fast and easy. Take a look at this YouTube video which shows how you can link a Yamaha LS9 to Screen Monkey. Thank you to ceerb for this excelent video. 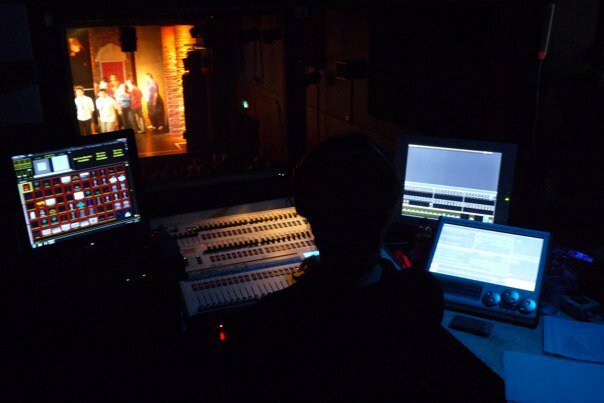 "Just an example of how I make use of screen monkey media playback software and midi when on longer, repetative jobs or theatrical type jobs with set scenes/cues when using a digital mixer (in this case Yamaha LS9-16)." "Like it or not video has become a huge part of live music production: Video walls, Projections, Pixel Mapped PAR cans!" Gerard Philips started the production of light bulbs and radio’s in 1892. 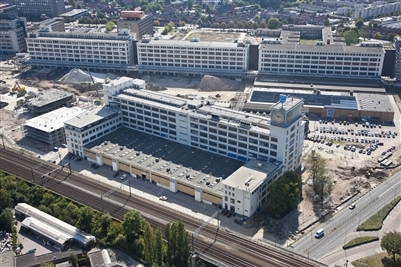 The company grew in a short space of time and with that the collection of villages became joined with worker housing to support the factories. As the light bulb company grew into what we now know of as the multi-national company Philips the original factories became obsolete and unused. It has now fallen to the City Counsel and their housing corporation Trudo to convert these old buildings into homes and small businesses for the current occupation of Eindhoven. 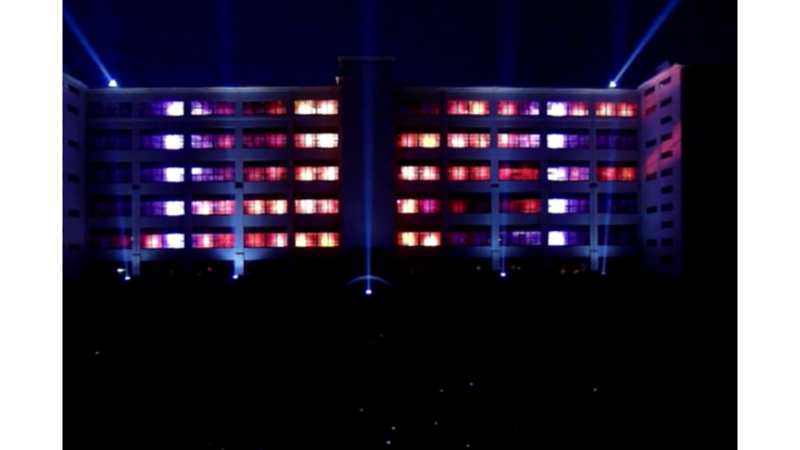 To mark the start of this building project they asked sound and lighting company Hovanaars (http://www.hoevenaars.nl) to produce a light show which was fitting to the buildings original use. With the windows of the building forming a grid 5 stories high and 10 windows across it offered the perfect opportunity to use the Pixel Mapping functionality within Screen Monkey “I immediately thought of Screen Monkey as a great tool to help me program this, through it's pixelmapping capabilities” (Bhagat Denijs). To create the 6 minute show 100x GLP Impressions, 8x Spacetracers 4000, 10x Martin Atomic Strobes, a bunch of strobe eggs and a few dimmers where used. 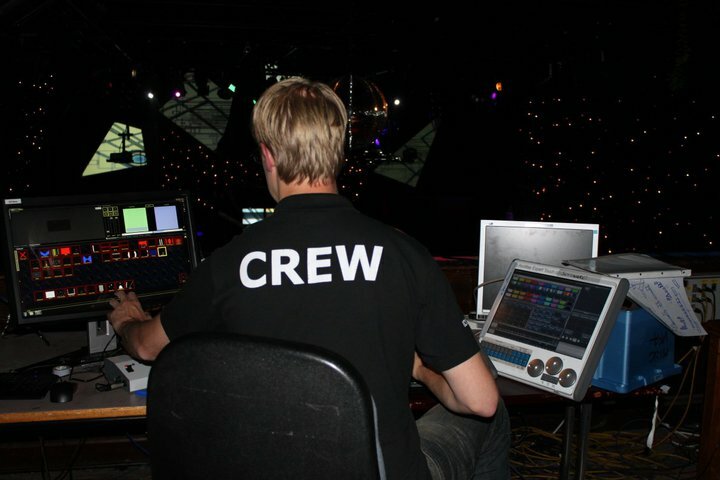 The Screen Monkey software was controlled from the GrandMA 2 lighting desk. 5 universes of ArtNet where merged with the MA2 to give control of the fixtures from both the lighting desk and Screen Monkey. This meant that they could “mix and match regular programming with clips coming out of SM”. The whole show was synchronised with SMPTE timecode coming from the audio track. The resulting show was impressive and of particular note is the way the Pan and Tilt capability of the GLP Impressions was combined with the video mapping to produce a surface that felt as if it is was moving. The different video effects both fitted with the soundtrack and used the building to its best potential. If you want to watch the finished show then you can watch it on YouTube. As these factories in Eindhoven move into the next era of there life we celebrate a little of their past with a lighting show fitting of the light bulbs once produced there. The Varsity Trip invites student from Oxford and Cambridge Universities to head to the Alps and experience snow sports and entertainment. This years trip featured the "biggest lineup" in the trips history with Calvin Harris, Kele, Jack Beats, DJ Yoda, 3D Disco and Jakwob. With such big names and great snow conditions the week was guaranteed to be huge success. One of the major features of the rig was the 4 x 3 array of PixelLine 1044s forming the front of the DJ riser. Haveing these controlled by the media server meant that at all times the content could be synchronised with the two video screens. Add to this the colour scheme control from the lighting console and it was easy to create a fluid look across the video screens, LED battens and lighting rig. The nature of the event required for a mixture of VJ content, custom video and live footage. This was eaily incorporated into the show by simply adding the new content as clips within the software. To sum up I will leave the final word to DJ Yoda who posted this on twitter. "Can't say I was expecting a crowd of 3000 on a Sunday night in the Alps. But that's what I got!" Showcasing the new Pixel Mapper functionality in the upcoming Screen Monkey Pro 3.5, we take a closer look at Birmingham University Freshers 2010. 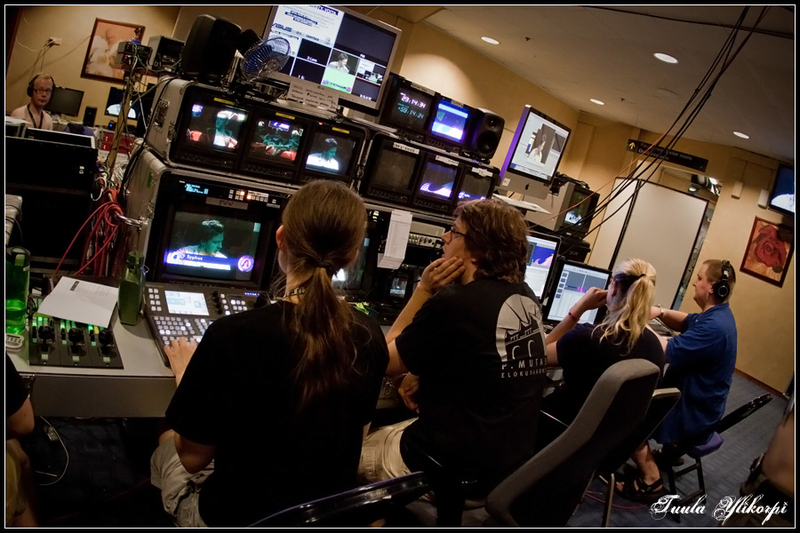 No fewer than 6 Screen Monkey systems were used, including VT playout systems, effect generators, the new Pixel Mapper harnessing the ArtNet functionality, and video post-pro...cessors for cutting out crazy screen outlines. 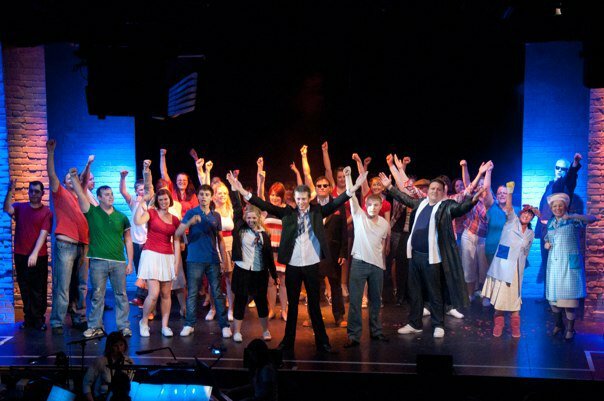 Lighting by James Cross, David Johnson and Mark Baslington. 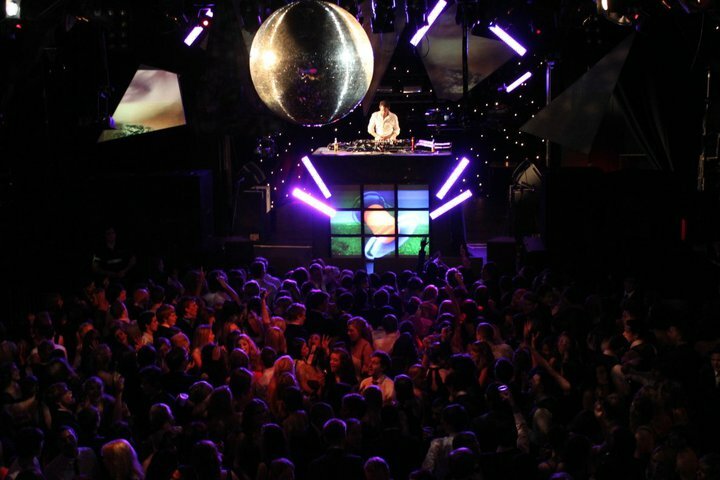 The freshers ball at Birmingham University is a chance for new students to discover the night life at the guild of students. The aim is to impress and this year was no exception. The new Pixel Mapping feature in Screen Monkey produced stunning lighting effects along with the shards of glass projection screens. 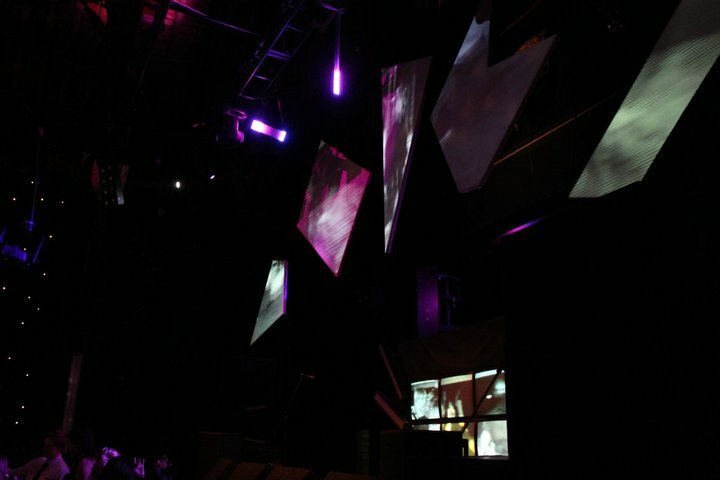 The focal point of the rig consisting of 5 projection screens and 12 LED battens, rigged to create the effect of a visual explosion from the centre of the stage. That's where Screen Monkey came in to control both the screens and the LED battens and give the effect of a visual explosion through video and graphics. The main act for the night was Mr Hudson, who's album "Straight no Chaser" came to prominance in 2009. Using Pixel Mapping the lighting designers where able to simply and quickly create effects whilst still controlling colour, speed and intensity from the Avolites Pearl Expert lighting console. This mix gave the best of both worlds. The Effects clip which has been re-vamped in the latest version really came into its own producing custom effects which worked well on LED fixtures. The powerful display profiles where used to mask video onto the random shaped screens. In a matter of minutes the video was mapped and masked to precisely fit the 5 differently screens. 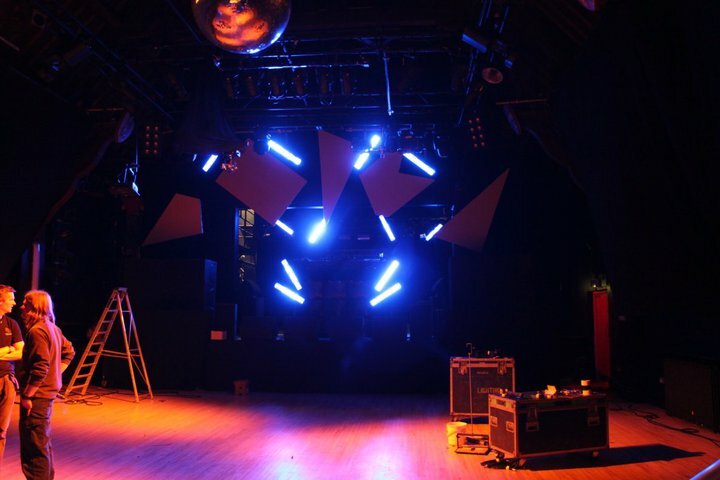 The rig proved so successful that it was subsquently kept for another 2 events happing at the guild of students. 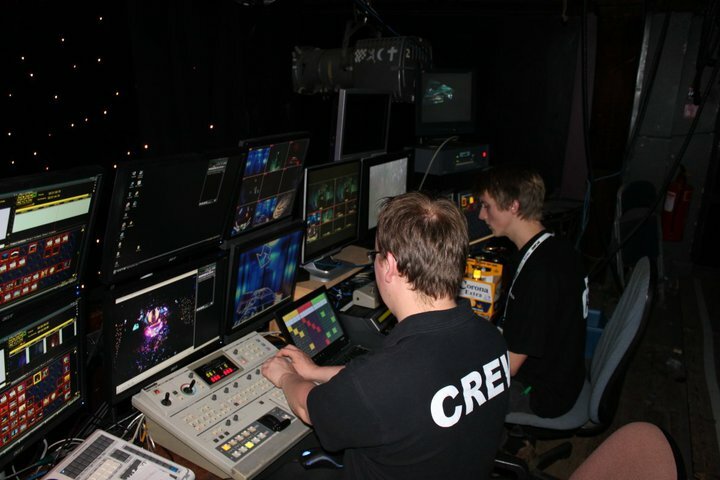 Other features in use where CITP talkback providing thumbnails of the Screen Monkey clips on the lighting console and ArtNet input and output allowing control from the lighting console and to the LED fixtures. To really see the pixel mapping in operation please check out this video of the night. Any fashion week requires style and glitz and thats just what Screen Monkey provided recently at the Valencia Fashion Week. This is what Screen Monkey user Colin Bone from Video and Sound Engineer Grupo Pasarela Audiovisuales, Valencia had to say. Used screen monkey without a single fault during the entire Valencia Fashion Week.Was used to run dvd´s, photos, powerpoint and audio all with fades etc..
"We used ScreenMonkey at AssemblyTV [http://www.assemblytv.net] to easily create and display on-screen text overlays to deliver info about current and upcoming broadcasts, displaying reporter names and other relevant information about the event into the tv which was broadcasted on live 24 hours per day for four days straight into the Finnish cable tv network and into internet streams in HD. We used the new Text item with green background which was then color-keyed over the tv feed with professional broadcast tv mixing equipment. Assembly [http://www.assembly.org] is a demo event which gathered over 5000 demosceners and gamers to Helsinki each summer. 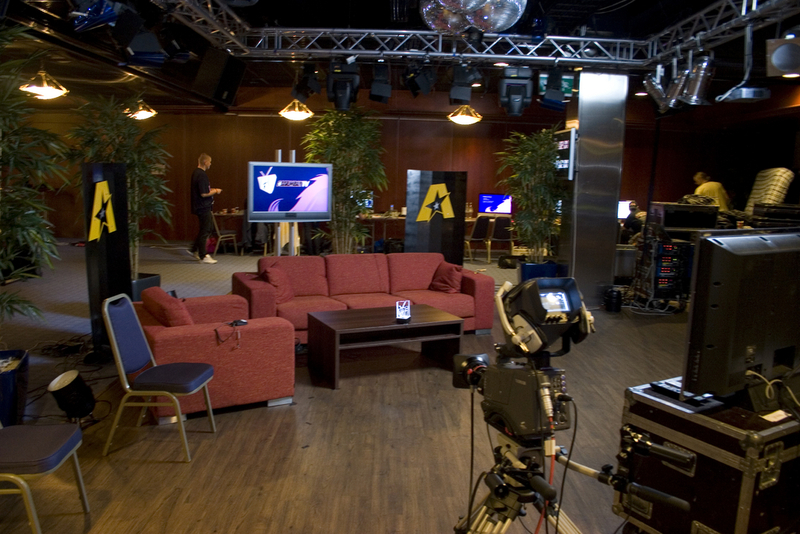 AssemblyTV is a non-profit live tv channel for the event created by about 60 enthusiastic volunteers and students. 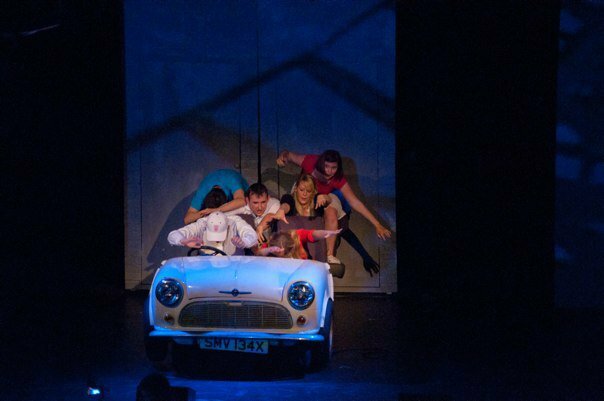 The recent production of Our House the Musical at Luton Library Theatre chose Screen Monkey to control video and visuals during the show. The performances took place during June and July 2010. Screen Monkey was run from a touch screen and also connected to the Pearl Expert Touch via ArtNet. Linking the software to the lighting console through ArtNet meant that the video and lighting could be run from one Go button. Andrew Maxted who was involved with the show said that "SM proved the perfect solution for this production and I am recommending it to others" and an "Invaluble tool for any projection work across our venues!". 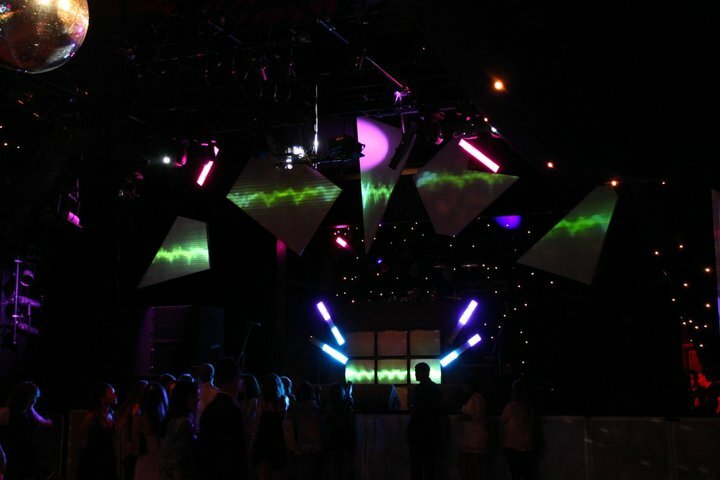 This year's Freshers Ball at Birmingham University used the soon-to-be released 3.3 version of Screen Monkey. The yearly ball in the guild of students is one of the highlights of the year for students at the University and takes over the whole of the Guild of Students, including the Underground for DJs, a silent Disco and a chill out area outside. The main venue where Screen Monkey was used for video playback included live acts with the Scratch Perverts and Vernon Kay headlining. The video in the main venue was designed to impress and compliment the lighting. A total of 3 projector screens and 8 video wall monitors were used to create a feeling of depth and coverage. Two of the projector screens were triangular which was where the Screen Monkey layer masking facilities came into their own. It was essential to be able to crop the image to the non rectangular screen so that it did not look like you were watching a normal video projection. The video monitors were placed on stage to provide video fill where projectors would have been ineffective. 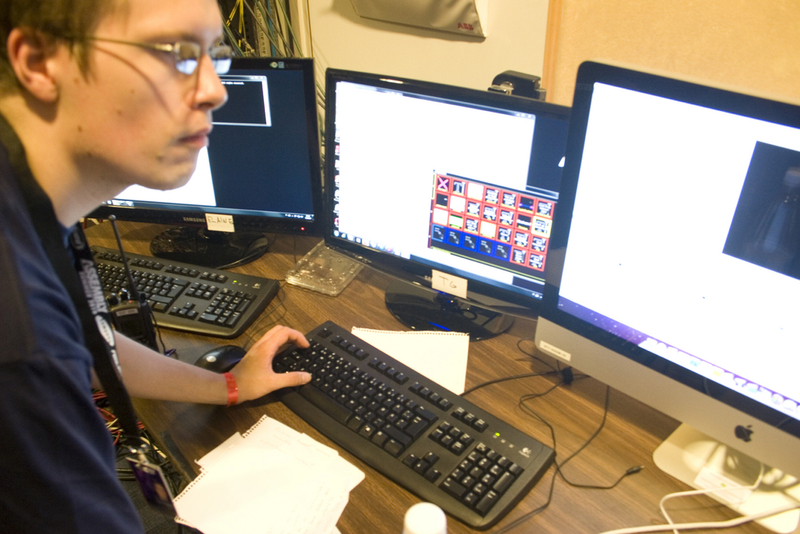 A total of 3 Screen Monkey PCs where used, 2 for video playback and 1 to crop the screens. The quick access to a large library of video clips with thumbnails which are easily accessible was one of the strengths and makes it easy to respond to changes in the music; Screen Monkey's loops, transition effects and cueing features also played an important role making seamless, professional results easy to achieve. Also in use was the new effects clip which is included in version 3.3. This made it easy to quickly generate simple, custom video content to display on the triangular screens. When providing graphics for a live act you just want simple graphics that moves and the effects clip makes it easy to generate simple moving content with different colour schemes. To see for yourself how Screen Monkey was in use please take a look at this video from the event.